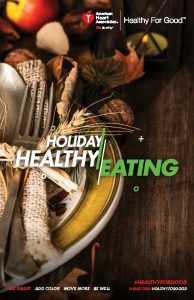 It’s the holiday season, that means eating – lots of eating – followed by weight gain and a New Year’s resolution to lose weight. But why not take a healthier and more mindful approach to what we eat during this holiday season? Include lots of seasonal, colorful fruits and vegetables. 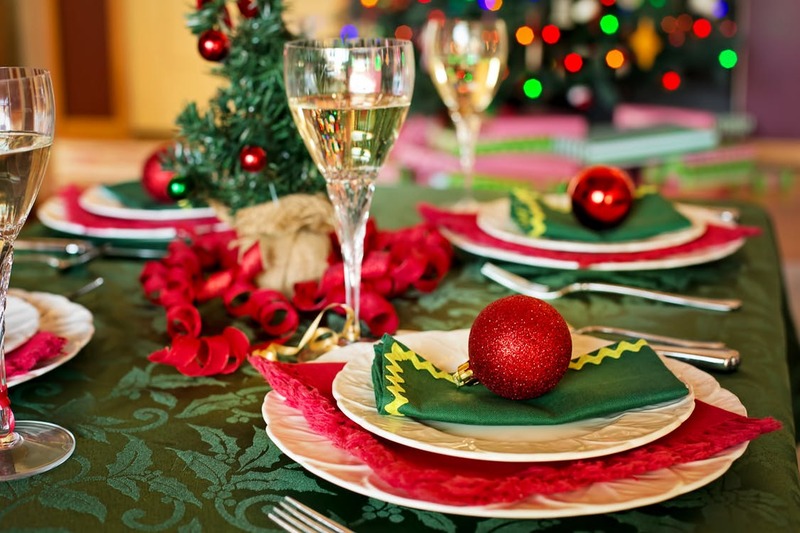 Fruits and vegetables will add flavor, color and nutrients to holiday favorites. They will also help you feel fuller longer so you can avoid the temptation to overeat. Control portions. Especially during the holidays, know that you’ll have more opportunities to eat festive snacks and desserts. You don’t have to deprive yourself, just eat smaller portions. Slow down. Enjoy each bite and put your fork down while chewing, then take a drink between each bite. This gives your body enough time to trigger your brain that you are satisfied. Pay attention. Do not eat in front of the TV, while standing in the kitchen or talking too much. When you do these things, you’re more likely to lose track of how much you’ve eaten. Use technology. Our smartphones and other electronic devices can help us to keep a food diary, count calories, tack physical activity, and even provide guidance on healthy food choices and recipes. Try a free app or website such as MyFittnessPal to keep you on track during the holidays and into the New Year! Sprinkle in opportunities to be active. Keep the inevitable indulgences in check by staying active. Enjoy some winter sports for a change of pace, or schedule in a quick walk or workout before you head to the next party. For more information read the American Heart Association’s Holiday Healthy Eating Guide.